Turn your photos into realistic 3D models by taking a series of photographs from different angles. Be guided through the process of capturing all angles of your subject with the Integrated Photo Compass. Capture 3D portraits of your friends, museum displays, architecture, plants, cats or anything else you can photograph. Share your captures with friends through Twitter, Facebook, Email and SMS. Showcase your work and follow other amazing 3D photographers from around the world through the in-app gallery. Store your captured objects in the cloud to access them from all your devices. Export 3D models in a variety of formats from the 123D online community for use in other 3D tools and projects. Works on your iPad/iPhone & iPod Touch. 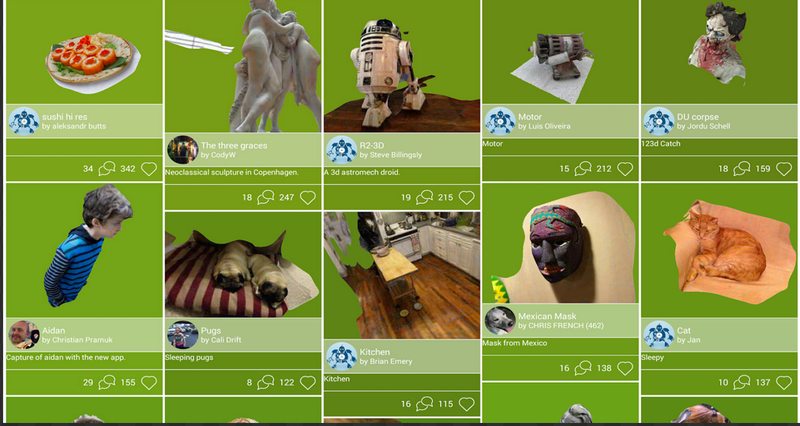 123D Catch is also available for Android users from this link. 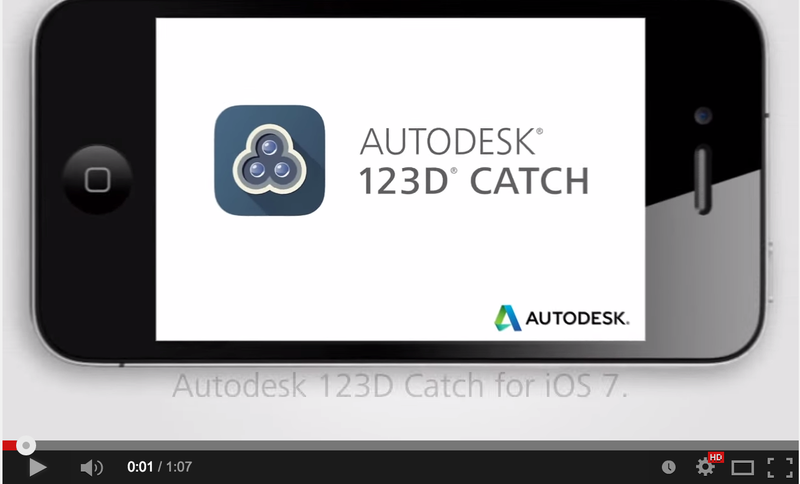 Watch this video to see how 123D Catch works.